Here is modifiable welcome speech you can download after paying the amount below. Why download the welcome speech now? You don't have time to prepare for a speech in the church? We know how your schedule is busy and don't have time to start looking and gathering information here and there in order to have a speech to present in the church during the coming occasion in the church. Worry no more, you need that time for other things like being with your family and doing that extra thing that can earn you extra dollar to improve life. We dedicate our time to prepare welcome speeches for the church. This is our full-time job and love it very much. We shall deliver beyond expectations! Therefore be sure that what you shall get is of highest quality and above all prayed for. we have gone ahead and prepared ready to print speeches that are downloadable. You only pay a small fee of $10.99 to help us keep on maintaining this site here for you. It is a small fee compared to the time you will spend. You need that time to do that things that are related to your area of interest. Unless you are a full-time pastor in the local church, then we would understand that it is your area of interest. Otherwise if you are a member of the local church then this section saves your time so much that you can have as much time and the same time no more worries of what you will be speaking about. Each complete speech below cost you only $10.99 and they are made in the universal PDF format which is common. If you have a printer,you can print them at home or from work place and carry them with you. 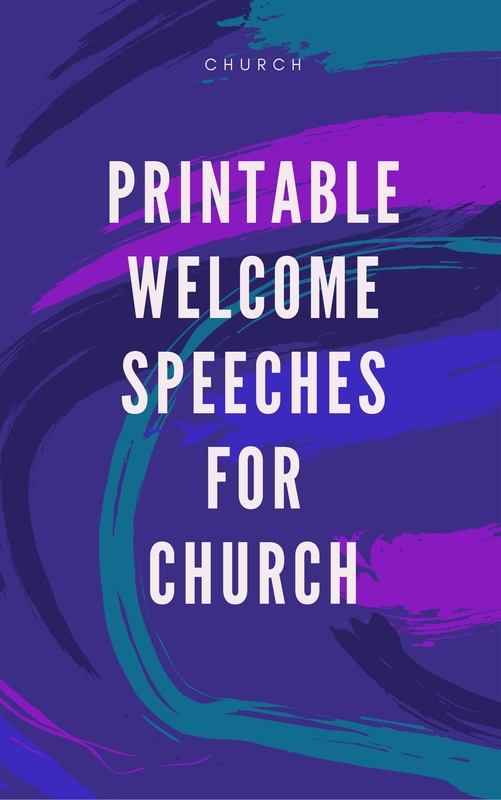 This ready to print church welcome speech has got 3 pages and once you print it you just present it the way it is. We have made it to fit in any occasion. Whether it is a church anniversary,church appreciation day or any other important day in the church. Even during your regular church service that occurs weekly,You can use this church welcome speech.